Do you know of a high school or college student who is looking for a summer job? 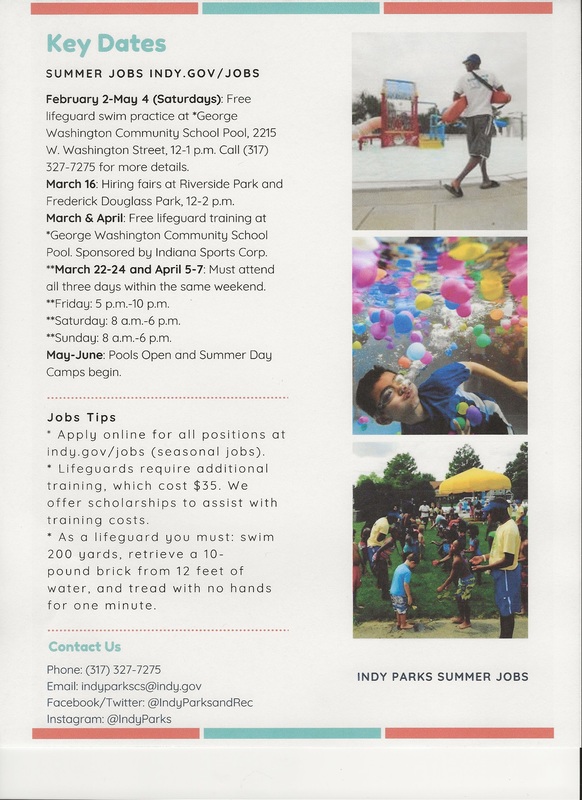 Indy Parks has over 400 jobs available. Attached is information about how to apply and some of the requirements. Is there someone that is a good swimmer, but doesn’t have their lifeguard training? Free certification training is available (see flyer for details), one which is this weekend. This is a wonderful opportunity to be certified to be a lifeguard. Some terrific jobs are out there waiting for the right student to apply. 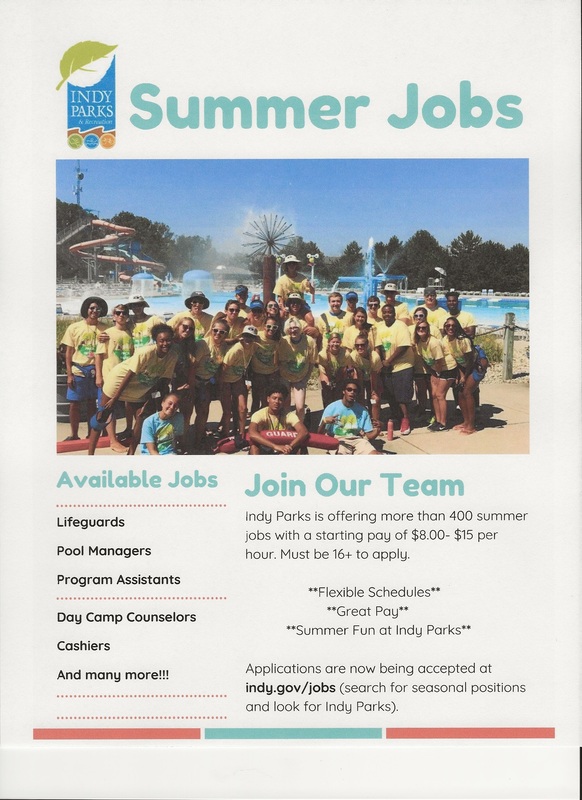 Please pass this on to anyone you know who may be interested in a job this summer who would enjoy working for Indy Parks.